Mortgage rates for 30-year fixed mortgages fell this week, with the current rate borrowers were quoted on Zillow Mortgages at 3.81 percent, down from 3.96 percent at this same time last week. The 30-year fixed mortgage rate dropped Wednesday, then hovered around 3.88 percent for most of the week before falling to the current rate. UPDATE 10/14/14: Is no one interested in a see-through piano and amazing views of the park? 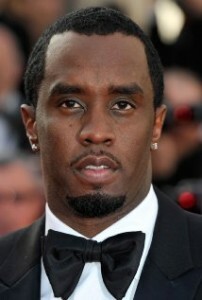 Sean “Diddy” Combs has dropped the price on his swanky Midtown Manhattan condo. Reese Witherspoon found inspiration over the summer in a run-down Southern mansion in Tennessee. She decided to scoop it up for $1.95 million and restore it to its former glory. UPDATE: We have now unveiled the top trick-or-treating neighborhoods for Honolulu (#6), Boston (#7), Seattle (#8), San Diego (#9) and Portland (#10). Neighborhoods for cities ranked 11-15 will be revealed tomorrow, Thursday, Oct. 16.